The Foundation is the proud sponsor of the annual Garnet Valley School District Hall of Fame Induction Ceremony. 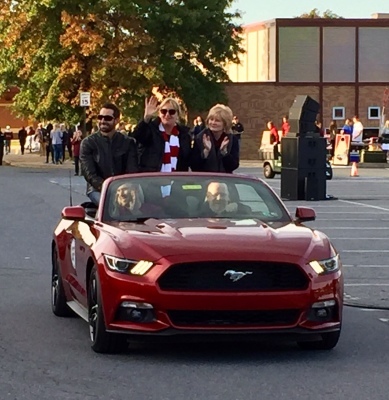 2016 Hall of Fame Inductees Anthony Bucci, Dr. Sandra Gibson Hassink, and Nancy Albany attending the Homecoming Parade. 2017 Hall of Inductees pictured from left to right is: Marc Bertrando, GVSD Superintendent; Kirsten Seltzer, Class of 1996; Melanie Bergwall-Palladinetti, Class of 2004; Eugene Botes, Class of 1999; Steve Conrad, Class of 1977; Kevin P. O'Donoghue, Hall of Fame Chairman; and Dan Foltz, GVSD Education Foundation President.